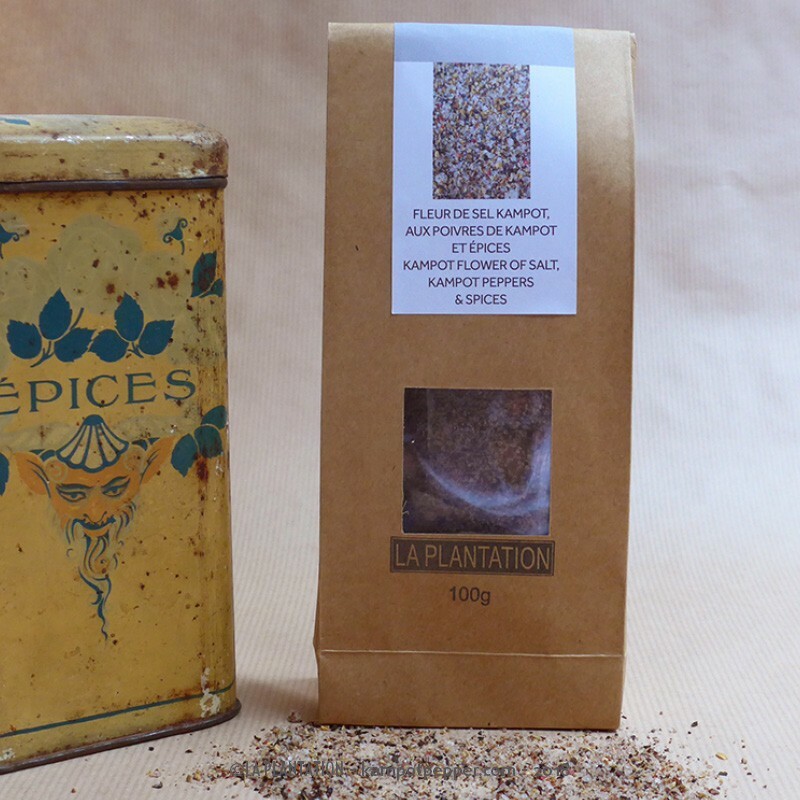 A ready-to-use blend of Sun-dried Kampot Fleur de Sel with Kampot Pepper and ground spices. To use directly to sublimate a red meat, a fish, a foie gras, a salad or as in Cambodia with pineapple. Some crystals sprinkled on a plate, just before serving, add a delicate flavor of spices. 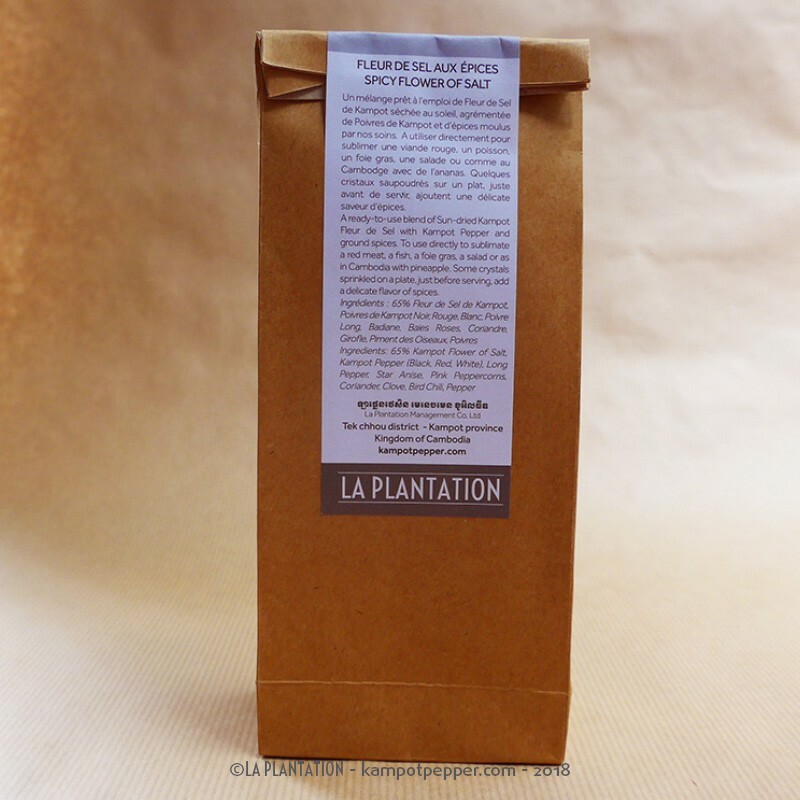 It is a 100% natural product, which contains no additives and is not treated after harvest. Kampot Flower of Salt is of a beautiful white color and a fragile crystalline and transparent texture. 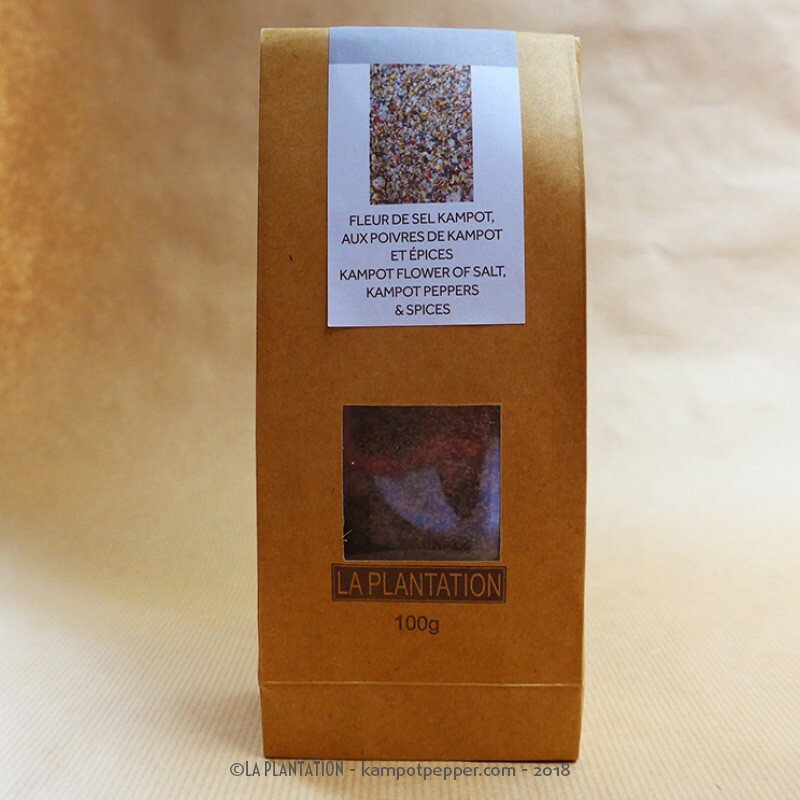 Less salty than its cousin from Guérande, Kampot Flower of Salt is to sprinkle directly on your dishes. 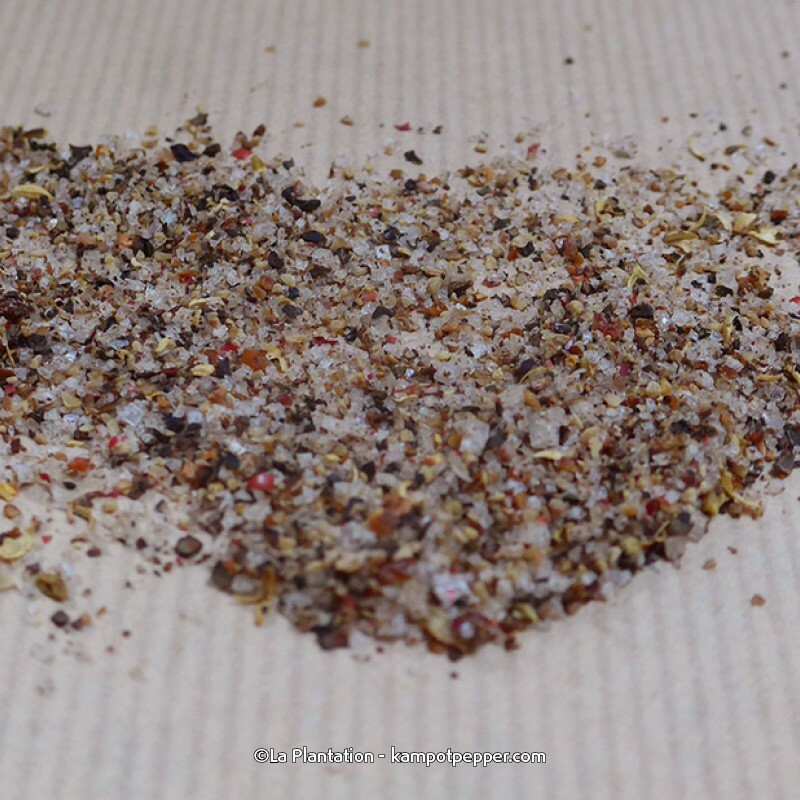 The Flower of Salt with Kampot Pepper and Spices is a ready-to-use mix. 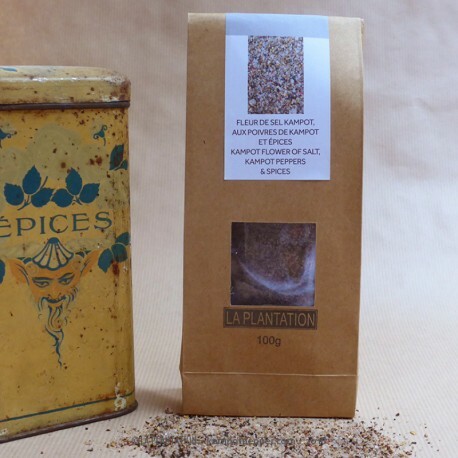 The spices are ground and packaged immediately to keep all the spicy aromas. The lemony notes will marry wonderfully with a steamed fish and a drizzle of olive oil. The crispness of the fleur-de-sel and the peppery side will sublimate a slice of foie gras. It will also enhance your grilled steaks, cold meats, salads or as in Cambodia you can season your fresh fruit, such as pineapple, melon or peach. Origin Kampot IGP - Cambodia.